The night light also makes a great gift for any Minecraft fan and would look great in a bedroom. Every princess can have a magical bedroom with this Frozen 3D Wall Light. It lights up with prints of her favourite Disney princess to fill her walls with colour and inspiration while she plays. She'll feel like a princess with this Esla Frozen 3D Wall Light. Style: Starry sky. Button "A": to add warm light effect to the LED color you select. Button "B": short press to pick your color. Button "C": 360° rotation of the lighting head. Color: Blue. 1 x Projection Light. Handmade Mine Craft 100% cotton fabric night light, great for kids bedrooms. Powered by LED tealight, battery powered flickering flameless candle with on/off button. There are 2 plastic discs inside the night light, one has placement for candle, please see photos. Comes ready to use, complete with battery and candle. Measures: Width- 4” (10cm) Height- 5” (13cm) Matching lampshades available to order,custom orders welcome, lovely gift for any occasion. This Philips and Marvel Avengers night light and image projector will amaze your child with magical story telling. Turn one of the film wheels to project fun Avenger scenes onto the ceiling or switch on the reassuring night light below. This cuddle character has six main colours of noise projected through starry lights and sounds. The different colour choices are important, because each baby responds to different noise colours in unique ways. 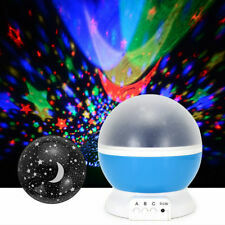 ★Blue★Star Master Starry Sky Children Kids Bedroom Night Light LED Lamp Cosmos (Battery or USB). Projects starry sky on walls and ceiling. Ideal for Children Bedroom. High brightness. Colour: Blue. Star Master LED Projector. PJ MASKS CATBOY 2 IN 1 SOFT PAL GO GLOW NIGHT LIGHT BLUE KIDS. Used. Excellent condition from non smoking no pet household. Dispatched with Royal Mail 2nd Class. White noise is a popular frequency that is known to help babies fall and stay asleep. did you know there are many other frequencies that are scientifically proven to help as well?. this cuddly character has the six main colours of noise projected through starry lights and sounds. SKU: Ikea - 700.108.78. Gives a soft mood light. All cords can present a strangulation hazard. Never place a corded product within reach of a child in a cot, crib or playpen. Always secure the cord to the wall with the included cord fasteners. 1 x Romantic Star Sky Night Light Projector(Without battery). Decor your room, house, provide a romantic surprise for you;. When you press the STAR switch, you will see the universe;. When you press the LED switch you will see the stars in the sky;. 1 x Disney Frozen Elsa Shaped Table Nightlight. Tilt to turn off and on. Part number Imaginative Lighting. Imaginative Lighting for kids. Product Safety. This product is subject to specific safety warnings. There’s little more peaceful than a starry, starry night, and if your kids - or you - are wanting for sleep then this LED star-projecting lamp might just be the solution to your problems. Fall asleep under the blanket sky, in the comfort of your own bed, and watch as this rotating projection lamp performs a spectacular light show on the ceiling. It is built in wonderful music and interesting flashing mode to help you have a sweet dream in the night. Bring happy and romantic atmosphere to your family. 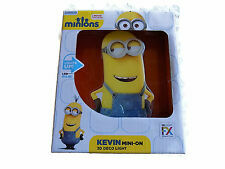 You can also send the projector night lamp to you close friend as gift.